EA life-long Manitoban, Adrian has been writing for as long as he can remember. 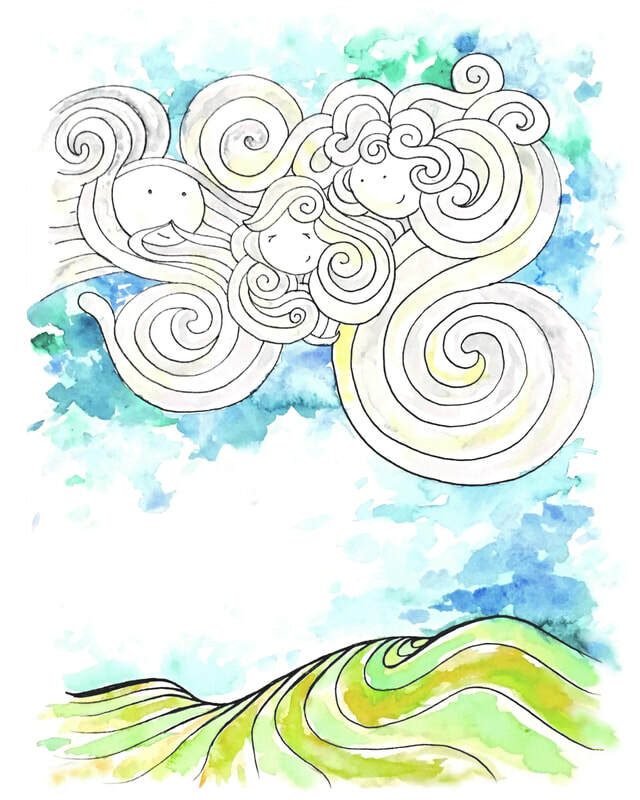 A Cloud Named Joleen is Adrian Hawaleshka’s second children’s picture book. His debut book, The Chair by the Side of the Road was nominated for the Manitoba Book Awards in two categories: McNally Books for Young People Award (Younger Category) and the Manuela Dias Book Design and Illustration Awards (Children's Books/Graphic Novel Category). Adrian is an Assistant Professor of Anesthesiology at the University of Manitoba. Dr. Hawaleshka lives in Winnipeg with his wife and their young son. Cyndi Wiebe has been doodling for most of her life. She trained in graphic design, and now works with print media, digital and traditional illustration, creates art in various mediums, and does live painting performances. Cyndi also loves to teach and explore art with her students of all ages in the Winnipeg area. She lives with her husband Kyle and their eautifully blended family; Liam, Tanner, Charlotte, Owen and Georgia, on a little patch of prairie in southern Manitoba.